Before Reachify, Revive Salon and Spa relied on a siloed and outdated approach to communication that limited their brand’s promise of providing an exceptional customer experience. They required an intuitive and accessible solution that enabled seamless and efficient customer interactions across phone, chat, email, and social. After evaluating a number of costly and complex solutions, Revive selected Reachify’s customer experience platform to provide an integrated omni-channel experience across all their locations. A leading Salon and Spa, Revive is in the top 0.01% of medical spas in the nation and was awarded the prestigious Black Diamond Award by Allergan. They also hold the unique distinction of being a Top 100 L’Oréal Professionnel Salon and maintain Elite Black Level status, a title given to only the top salons recognized for innovation and professional excellence. Revive has continuously set themselves apart from their competition by offering cutting-edge aesthetic technologies, a wide breadth of services, and experienced professionals who are continuously educated on the latest trends in their specialties. Still, the owners felt their growth was being limited by poor communication tools that spanned their multiple locations. Always striving to be an innovator, Revive understood that communication played a huge part in their customer experience strategy. Expectations were changing and consumers now desired to communicate whenever, wherever, and however they wanted while expecting timely, personalized, and authentic responses. Revive lacked the communication infrastructure to manage this. Internal and external communication occurred in silos, and without a centralized location to manage threads, staff struggled to manage interactions across voice, email, chat, and social. Response times were slow, messages slipped through the cracks, and management lacked the visibility to make necessary improvements. Revive was seeking an omni-channel solution that provided an integrated customer experience across all their communication channels. They required seamless interactions across voice, business text messaging, chat, and email. They also needed to provide the tools to intelligently route communication to the right people, with the contextual data necessary for timely and personalized interactions. 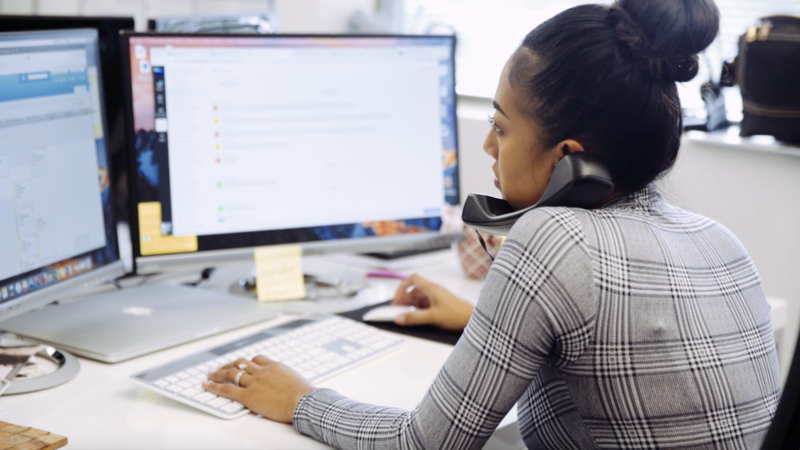 After evaluating a number of options, including Zendesk, RingCentral, and Five9, Revive decided to move forward with Reachify’s all-in-one customer experience solution to manage communication across all their locations. Vishal Verma, the co-founder and owner of Revive Salon and Spa, has always been a big believer in making data-driven decisions and tracking metrics across the organization. After the implementation of Reachify, he could easily measure the changes. Year-over-year, Revive has seen impressive improvements in several key metrics. Client retention, which is measured by repeat customers, increased by 18%. They also saw an overall increase in their NPS of +11. Most impressive, though, was the 339% increase in conversion rates for inbound leads to paying customers. Having an all-in-one communication platform helped Revive reach their goal of creating a better customer experience with the added benefit of making their team faster and more agile. “Reachify allowed us to centralize communication across locations, made our staff more efficient, and provided us with the tools to continuously improve our communication processes…too many systems just create hurdles for you. Having one integrated system helped us address the needs of our market,” said Verma. © 2019 Reachify, LLC. All Rights Reserved. Start connecting with your customers…the right way.